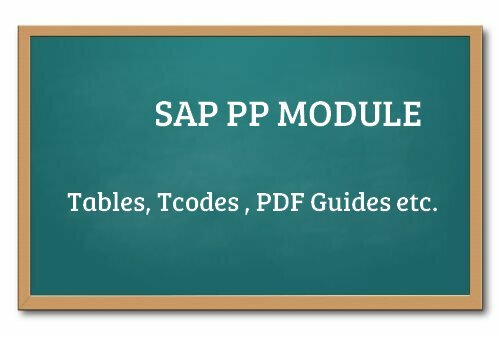 SAP PP ( Production Planning ) is one the largest functional module in SAP.This module mainly deals with production process like capacity planning, Master production scheduling, Material requirement planning shop floor etc.The PP module of SAP takes care of Master data needed like Bill Of Materials ( BOMs), Routing and Work Centers and stores it in one separate component.In this page you will get some SAP PP module tutorials, transaction codes, tables and PDF training guides to download. Here are the important functionalities & features covered by production planning module. It is the core data in PP module. Without these PP master data we cannot do & store any transactions. In other words it’s the mandatory data in production planning. After all the master data like material master, BOM, Work Center & route creation, see the flow of process occurring in production planning module. Production planning module data is tightly integrated with the following list of module data . 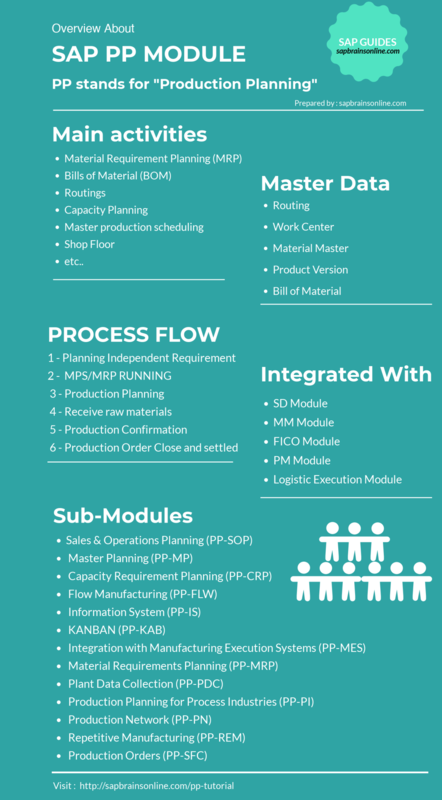 See the list of important sub components of production planning module. Sample list of important transaction codes used in production planning module. See the full list from the link at the end of this list. See the list of some important table fields to store data used by production planning module.